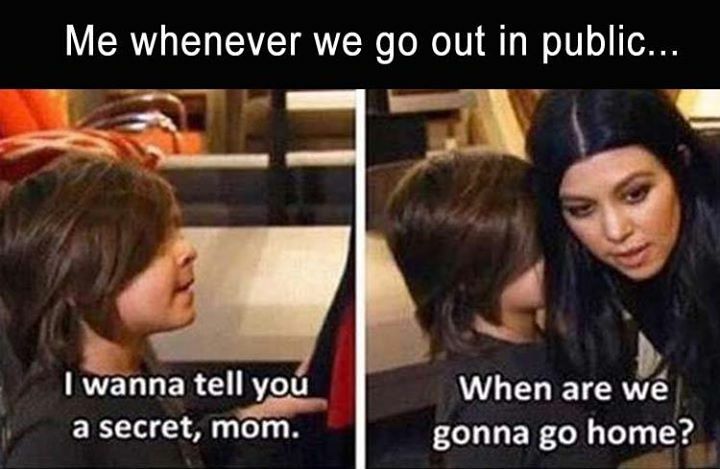 ME WHENEVER WE GO OUT IN PUBLIC... I WANNA TELL YOU A SECRE - ProudMummy.com the Web's Community for Mums. ME WHENEVER WE GO OUT IN PUBLIC... I WANNA TELL YOU A SECRET, MOM. WHEN ARE WE GONNA GO HOME?